Good dental care is an essential part of every person’s overall health and wellness. If you are in search of a family dentist in Bedminster, NJ, who you can rely on for your entire family’s oral health needs, at Bedminster Family & Cosmetic Dentistry we serve patients of all ages and offer a comprehensive list of dental services. 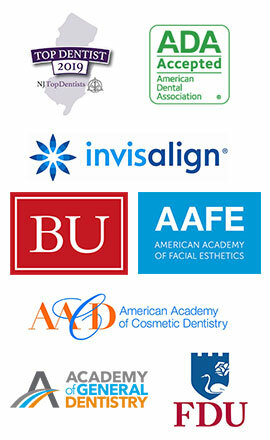 It is our goal to help you and your loved ones establish and maintain excellent oral health. General dentistry: Gentle check-ups and cleanings twice a year are an essential part of oral health care, maintaining the cleanliness of your smile and allowing your Bedminster family dentist to identify any problems that may be developing. General dental care also includes x-rays, mercury-free fillings, and customized night guards to help prevent clenching and grinding and sleep apnea. Cosmetic dentistry: Through cosmetic dentistry procedures such as porcelain veneers, teeth whitening, dental bonding, and the Snap-On Smile, your Bridgewater dentist creates flawless, white, natural-looking smile makeovers that look amazing and come with a beautiful smile guarantee. Restorative dentistry: Missing teeth, broken teeth, cracked teeth, damaged teeth – whatever the oral health problem you’re experiencing, dental restorations like dental implants, porcelain crowns, and dental bridges can repair what’s wrong while making your smile functional and beautiful. Orthodontics: Discreet, powerful, and efficient, Invisalign braces in Bridgewater have revolutionized the world of orthodontia. Adults and teens who qualify for this teeth alignment method love that they can get a straight smile without anyone knowing about it and still have the freedom to eat what they want. Facial rejuvenation: Have your dental work completed at your Bedminster family dental practice and top it off with Botox or Juvederm for a completely revitalized appearance. Facial fillers like Botox can also be used to help treat and control problems such as TMJ disorders and teeth grinding and clenching. Whatever type of dental procedure you are planning to undergo, get a preview of your smile design so you can dream about how great you’ll look at the end of it, and share your smile goals with family and friends. Children: We are honored to have young patients at our Bedminster dental office and proud to take this opportunity to teach children that the dentist is not a scary place, that taking care of your teeth is essential to staying healthy. Positive experiences at the dentist set kids up to be comfortable with all aspects of oral health care and encourages them to prioritize their oral health now and in the future. We provide teeth cleanings, x-rays, sealants, and white fillings to children. Teens: Everything is awkward for teenagers, and they appreciate anything that makes adolescence a little easier. Regular dental cleanings help them maintain healthy teeth, and the option of Invisalign for the right candidates can feel like a lifesaver. Teens who need orthodontics but can avoid the dreaded metal mouth reap the benefits of a straight smile, which means less decay, fewer cavities, and better health overall. Adults: Our adult patients have varying needs. Some require regular dental cleanings and that’s all. Others have more complex problems that demand restorative dentistry solutions. And still others are ready to finally give themselves some attention and invest in a smile makeover and cosmetic dentistry to boost their confidence and make them look younger, healthier, and happier. Seniors: Oral health can disintegrate as we age, no matter how well you take care of your teeth. Dry mouth complications, deteriorating dental work, periodontal disease, side effects from illness, and decades of use can all contribute to oral health problems. Our family dentistry practice evaluates the dental needs of our senior patients so we can rebuild smiles and help them reestablish good oral health. Take advantage of the opportunity to care for your entire family’s oral health at one dental practice. Contact Bedminster Family & Cosmetic Dentistry in Bedminster, NJ, to schedule an appointment with family dentist Dr. Mike Mavrostomos for general dental needs, cosmetic dentistry, dental restorations, and more. We proudly serve the areas of Bedminster, Bridgewater, and Somerville. Dr. Mavrostomos has a great eye for the artistry required to make a smile beautiful. He even has a beautiful smile guarantee. Each of the smiles created by Dr. Mavrostomos is a testament to his passion for beauty. "Everyone is so friendly! I love my hygienist Renita. The office has a warm, welcoming environment and you really feel at home. I feel that the doctors always have my best interest in mind each time I am seen. " "Very professional, welcoming and thorough team!! Thanks, Dr. Mike !!" "A+ service all around! The staff is very friendly, too." "Entire staff is terrific! Great experience!!" "Been going to Dr. Mike's office since the 1990s and have always received careful thoughtful treatment"
"Dr. Mike and his staff are simply the best. They do everything they possibly can to make sure my teeth are fully taken care of. There's no one better." "Excellent visit. Difficult to reach tooth handled nicely by Dr. Kim. She works very thoroughly"
"I had an emergency, and they took me right away. Nice office staff and they did wonderful work." "You won't find a better dentist. Dr Mike & his staff are friendly, caring, and professional. I wouldn't dream of going anywhere else." "My regular check-up is always positive because of the kind and caring staff. Thank you!" We don’t just have a pleasurable environment with a great staff. We treat people the way we want to be treated.